A 500-level student of the University of Benin (UNIBEN), Adams Isaac, has committed suicide. 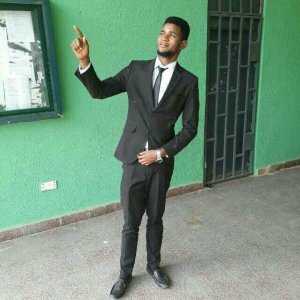 Campus Gist learnt that the final year student of Computer Engineering Department hanged himself in his hostel at Ekosodin, on Thursday. Classmates of the deceased described him as easy-going and a devoted first class student who hardly missed class. Sources in the area alleged that on that fateful day, the deceased, after returning from class, charged his phone, washed his clothes, went in and locked his room where he took his own life. He reportedly tied himself to a ceiling fan in his room after shutting the door behind him. It was gathered that the deceased sister who came from Ekehuan campus of the university, forcefully opened the door to the room and saw the lifeless body of her brother dangling from the ceiling. The deceased is said to be a sufferer of manic depression (also known as Bipolar disorder), a mental illness in which a person experiences period of strong excitement and happiness followed by periods of sadness and depression (InstaBlog). Commenting on the event, a classmate of the deceased who took to social media, said Isaac’s death remains a mystery. He described the deceased as “funny and lively”, saying Isaac couldn’t have suffered from depression going by the smile he always put up. When contacted, the spokesman (PRO) of the university, Mr. Michael Osasuyi, said that management was not aware of such incident. Similarly, the Edo state Police command spokesman (PPRO), DSP Chidi Nwabuzor, told our correspondent that such incident had not been reported at the force headquarters. In spite of the increasing rate of suicide in Nigeria, especially among students, the issue of depression is yet to get the attention it deserves.